Sales and Use tax laws are complex in the state of Arizona. They are very different from other states and do not affect every business in the same way. 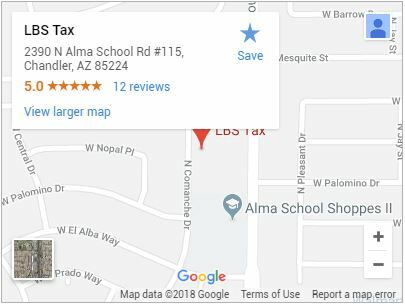 Residents starting new businesses and those new to Chandler often have problems navigating local tax laws. If you have found it difficult to understand the Transaction Privilege Tax (TPT), you are not alone. Many business owners have found themselves with a tax problem in Chandler due to the TPT. Here are a few important facts about the TPT that can help you get a basic understanding of the law. The Arizona Transaction Privilege Tax is often called a sales tax, but technically it is not determined by sales. This can be confusing for people interested in starting a business or business owners who are moving to the area. The tax is usually passed on to the consumers who purchase goods and service of a business, which is why it is commonly confused for a sales tax. However, it is the responsibility of the company to pay the tax, whether they pass it on to the consumer or not. The last point often causes issues for businesses in Chandler. Even established residents need help understanding the TPT differences between the state and local municipality. Most business owners find a knowledgeable tax service company that can navigate Arizona tax laws. Your business can get back on track by understanding a few basic facts about the TPT and getting expert help with tax resolution in Chandler.